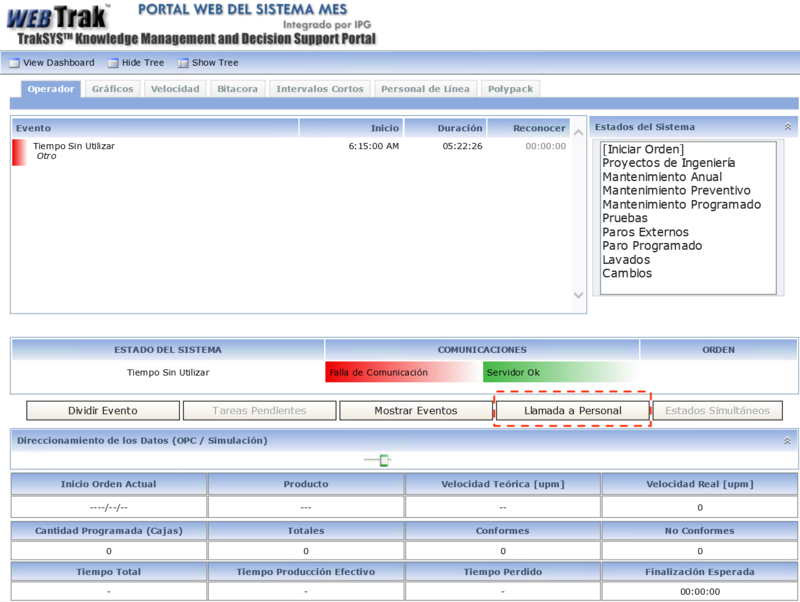 An Andon application refers to a way of informing the plant personnel about problems occurring in the production process. This allows the organization to respond faster, and therefore to improve the overall efficiency. The implementation of these systems is typically made by the use of lights or large sign displays. These tools alert the support teams of any problem related to maintenance or quality. BackStaff helps on the implementation of an Andon system providing a platform to deliver the workers’ calls directly to the support team phone, decreasing once more the response time. It also permits the workers to extend the information about the situation by including additional information on what is happening. The following image shows an example of this, where a computer terminal is used to set the machine status and to measure OEE, and in case the operator of the machine requires assistance, she can ask for it through the same application. In this case, the application raises a notification through the BackStaff infrastructure to inform the maintenance or quality departments about the need of their help. Every time a worker makes a request, BackStaff sends a message to the group responsible to help him. The users assigned to these groups don’t have the option to abandon them. Therefore the Administrator creates the groups and decides who has to be in each one. Every message send to these groups will be notified to the support teams through the Android or iOS applications with the sound and vibration methods that the user phone has available. BackStaff offers an advantageous and straightforward manner of implementing an Andon solution for the plant floor.